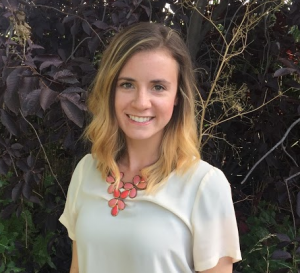 Megan Bohman, a health educator for the Bear River Health Department, partnered with Bear River Hospital in Tremonton and USU Extension to organize an event to combat opioids in Box Elder, Cache and Rich counties. The conference will be held at the Utah State University-Brigham City campus located at 989 S. Main Street, Brigham City March 7, from 8:30 a.m. until 5 p.m.
Bohman said the original 150 seats filled within a couple of months, so they have added more space to accommodate more interested people. The Bear River Health Department is feeling the full effects of the opioid epidemic. Keynote speakers include Amber A. Martinson, PhD Clinical Health Psychologist at the VA Salt Lake City Healthcare; Rob Timmerman, Regional Prevention Director for Summit, Wasatch and Salt Lake counties and Pastor Eric Sitterud, Pastor at Apline Church. She said of the three counties, Box Elder County is having the toughest time with opioids abuse. In 2017, the state department of human services produced information about opioid-related deaths in small areas of Utah. They ranked Brigham City 14 out of 63 when it comes to opioid-related deaths. She said Rich and Cache counties also have their fair share of opioid deaths. As part of the gathering, Brigham City Police will be on hand to accept unused medication from 4:40- to 5 p.m.
Other speakers will be Eric Barker, MD, Medical Director at Intermountain Healthcare Dayspring Clinic; Jess Lucero, PhD, Utah State University Professor; and Brigham City Police Department Lieutenant Tony Ferderber and K9 Officer Ethan Jorgensen. Bohman said the topic can sometimes be uncomfortable, admitting you can’t manage your pain or that you have become dependent on a dangerous medication.